A lot of people are talking about how much they don’t like short film that plays before Coco, Olaf’s Frozen Adventure. I personally really enjoyed it, and so did my children. So Vox can get over it for all I care. Without spoilers, the Frozen short was cute, and a perfect warm up for children who enjoy animation and songs. It fits rather perfectly with Coco, which guess what, is animation and songs. 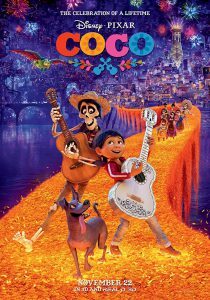 Coco is a bit more complicated than that, but it is still a real treat. Not just because the script is clever, but because as the title of this post indicates, representation matters. The cast was not voiced by a single white person. This is important when you consider the plot of the movie. Miguel is a young boy who wishes to be a musician. His family however is against all things music. In his fight to become a musician he ends up in the Land of the Dead, and adventure ensues. 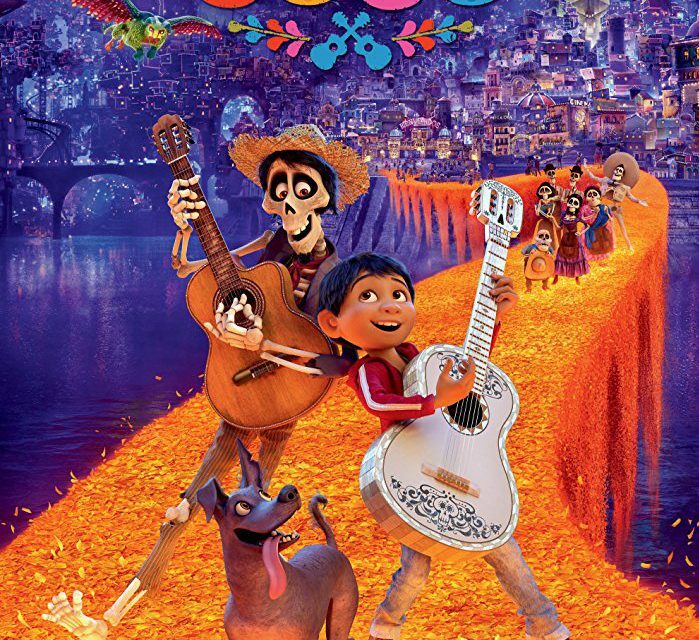 Much of the film centers around the traditions practiced during Dia de los Muertos, a multi-day celebration of families and their departed ancestors. It originated as a Mexican holiday. The film is remarkably accurate in it’s portrayal of those traditions. It shows the portrayal of food offerings, and putting up pictures of departed loved ones, and it delves deep into the lore of holiday with it’s brought to life Land of the Dead (if you’ll forgive my phrasing). The layers of animation is astonishing to the eye and every detail is there purposely. Every cel in every scene matters to the story line and to lending the audience an understanding of what the holiday is all about. This movie took me back to my childhood and reminded me of seeing this holiday celebrated by those around me. It was always a time of love and joy, even when remembering those who we miss the most. It also touched me as a parent to be able to start to share an understanding with my children of what this holiday means. Much like Miguel, my children have trouble absorbing my traditions, because they are not inline with anything “cool” or “fun” to them. This film made it cool and fun, and that’s important. Even if you aren’t of Mexican descent, or don’t have children, I encourage you to see this movie. You might just learn something about a culture other than yours, and that is always a good thing. And if my partial Mexican non-professional critic review of this movie isn’t good enough for you, just read what actual Latino professional movie critics are saying. And I’m sorry to tell the benefactor of this site, Coco crushed Justice League in the box office take. Don’t ever tell me you need a white cast to have a successful film ever again. Representation matters. PreviousMorning Joe pissed me off – UPDATED!